I had a blackberry. I loved it. It loved me back. And then it decided to break. The pearl (otherwise known as a trackball to the uninitiated) fell out. Well guess what? Apparently the pearl isn’t covered by my warranty. While I convinced my cell phone provider to give me a break, it still meant that copping another blackberry would cost me $250. It was cheaper to just switch providers (i.e., pay the $150 early termination fee and get a free phone from another provider). But then came along my friend Dave who introduced me to the world of OEM parts. If you’re a recent grad trying to save some extra scratch at every opportunity, OEM parts are something that you need to know about. In short, OEM hardware is third party replacement parts that you can use with your electronics. 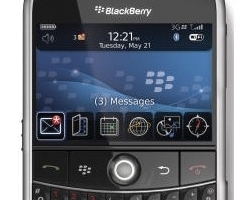 For example, a trackball made by a company other than Blackberry, but that works just as well. So back to my story. Guess how much an OEM trackball was? Around $20. That’s a far cry from $250 and a big win for me. So in the future, if your cell phone breaks and you’re about to go out of pocket in a big way, look for some OEM parts. And apparently I have to stop playing with my balls. To get your cell phone OEM hunt started, check out Cellular Accessories.